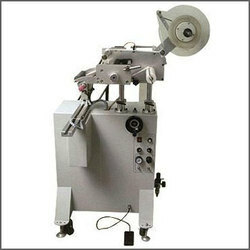 Our quality range of labeling machines is fabricated using quality raw material and ensures durability and efficiency. Our range of labeling machines is available at customized options as per the client requirement and specifications and is offered at industry leading prices. 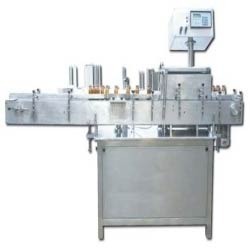 Our range of labeling machines includes bottle labeling machines, container labeling machines and industrial labeling machines. Engineered with precision, our industrial labeling machines are suitable for labeling bottle, glass, plastic and containers. Capable of high speed labeling, our labeling machine consumes minimum power and are easy to operate. We also offer customization options to our clients as per the requirement. This is a very versatile machine for applying sticker labels onto bottles, containers etc. This machine is very easy to operate and gives excellent output. Overall dimensions 1200mm x 700mm x 700 mm height. Suitable for applying on diameter from 18mm upto 120mm. Stepper drive with sensor for accurate positioning of label. Can be used for bottles of various shapes other than round shape.